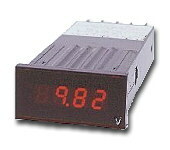 This is a digital panel meter corresponding to mini graph panel and 15mm mosaic panel. 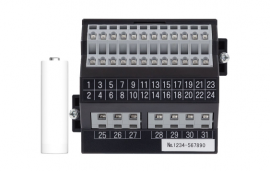 General DC input can be digitally displayed in any 2 to 4 digits by scaling according to specification. Also polarity display/decimal point display/OR display/UR display can be specified. Change of scaling setting and other settings is possible w/ communicator(CM-1: selling separately). Unexpected setting change at installation site is possible. 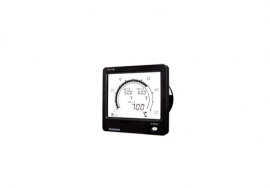 This product can be used widely for measuring of various plants. High accuracy/high reliabillity design w/ CPU. Any scaling is possible w/communicator(CM-1). This product can be mounted to 15mm mosaic panel. 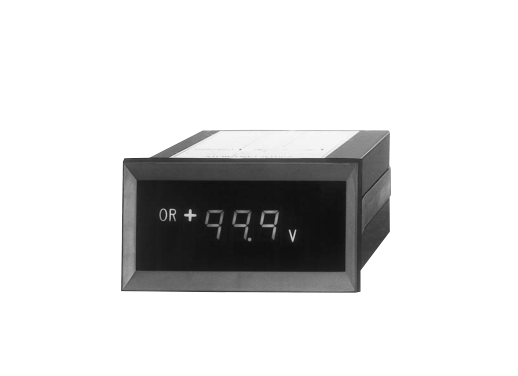 Setting of polarity display/decimal point position/ overrange/underrange/zero suppress function is possible.